“…and what is that award for?” the boy asked pointing to the right corner of the book. 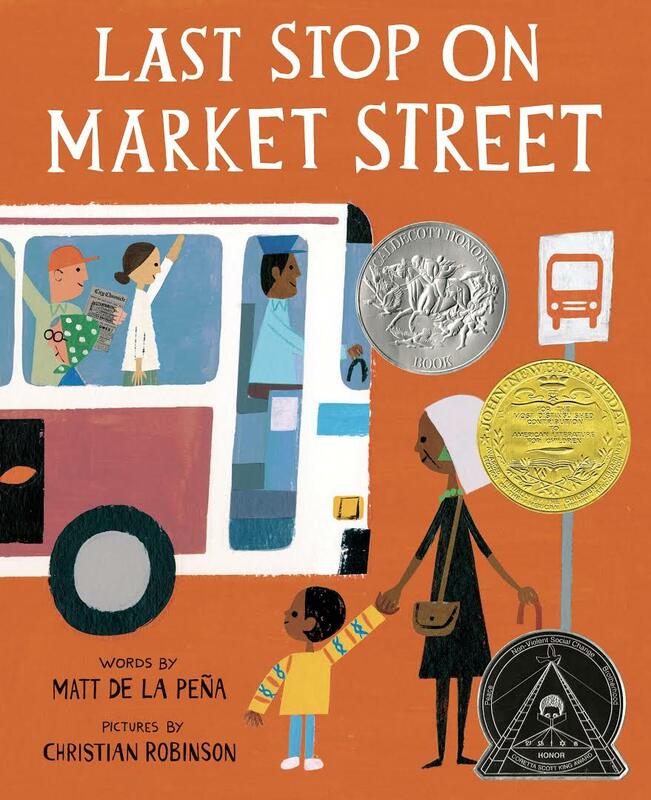 I was showing students in a 2nd grade class the cover of the picture book Last Stop on Market Street, written by American author Matt de la Peña and illustrated by Christian Robinson. 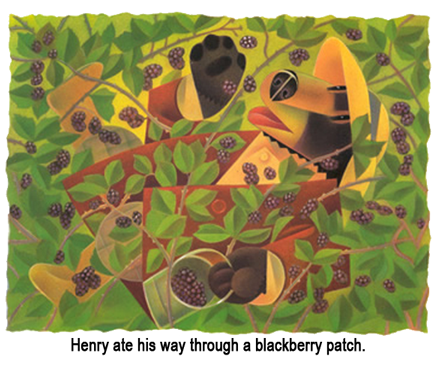 The boy was pointing to a black medallion, pasted under the silver foil award marking the 2016 Caldecott Honor and under the gold foil award marking the 2016 Newbery Medal. He was pointing to the shiny black circle that marked the Coretta Scott King Illustrator Honor, that lists the qualities of peace, non-violent social change, and brotherhood on its emblem. “It has so many awards….and it’s only a few months old,” his classmate noted. This fall, I have been reading Matt de la Peña’s story to students in different elementary grade levels. They notice the white trunks of the birch trees, drawn to look like they are “drinking through straw.” They like Nana’s sharp retort as she grows irritated with CJ’s questions. These repeated readings have made me aware that that CJ’s journey is a sophisticated journey. CJ travels through an urban landscape, a setting that is familiar to these students, but combined with same fantastic elements of an archetypal narrative pattern known as The Hero’s Journey. This narrative pattern of myth and legend has been followed by other characters on journeys. In the literary canon there are many examples such as Odysseus (The Odyssey) and Bilbo Baggins (The Hobbit). The same narrative pattern is seen also in film with Dorothy in the Wizard of Oz and Luke Skywalker in the Star Wars trilogy. Campbell drew parallels between these journeys of legend in literature and mythology with the journeys that everyday heroes make. He suggested that the everyone in life meets complications and obstacles, but it is the individual who goes through each of the stages and completes them successfully who society regards as a hero of any kind. This is where the hero CJ begins his journey, oblivious of the adventures to come. We learn his his shortcomings; he complains (“How come we don’t got a car?”) and he lacks the imagination of his Nana (“…he never saw a straw.”). CJ’s adventure is a call to action, but the action is not clear until the end of the story. Standing at the bus stop, CJ is uncomfortable.“How come we gotta…?” he complains to his Nana. CJ’s mentor figure is his Nana. She gives him whatever he needs: wise advice and self-confidence. She dispels his doubts and fears and gives him the strength and courage to continue his journey. Climbing into the bus, CJ crosses the threshold between the world he is familiar with and that fantastic world which he is not. He climbs into the “…bus that breathes fire” and immediately the bus driver performs a magic trick with a coin. As every hero on a journey, CJ needs to find out who can be trusted and who can not, and these characters on the bus initially seem a little sketchy. “They sat right up front. The man across the way was tuning a guitar. CJ is out of his comfort zone and is confronted with challenges that help the reader gain a deeper insight into his character. The characters he meets are illustrated: the guitar player, Bobo, and the lady with butterflies, the boys with earphones, the blind man, and the blind man’s dog. During this stage, CJ is transformed into a new state, emerging with the prize or elixir. The background illustration by Robinson is not an urban landscape, but a full page spread of CJ’s imaginings. The prize or elixir is magic of music that activates his imagination. At this stage in this hero’s journey, CJ returns with his reward. According to the pattern, he may still need one last push back into the Ordinary World. This is the moment before the Hero finally commits to the last stage of his journey, moment in which he must choose some higher cause. Here, CJ notices the “Crumbling sidewalks and broken-down doors, graffiti-tagged windows and boarded-up stores,” a stark contrast to the beauty that the elixir of music provided. Her knowledge has far-reaching consequences to his ordinary world. This is the final stage of the Hero’s Journey, which is now revealed to have been a journey to a soup kitchen. On this journey, CJ has grown as a person; he has learned many things. He is a fresh hope to others, and, like his Nana, can offer a solution to problems. The final reward that he obtains may be literal or metaphoric. Ultimately the hero CJ will return to where he started, but he has a new point of view, one of empathy. In proposing The Hero’s Journey, mythologist Joseph Campbell suggested that everyone goes through a series of challenges in life, but it is only the hero who successfully meets each challenge at each stage of the journey. CJ is the literal and archetypal hero of Last Stop on Market Street, reminding all audiences, young 2nd graders and adults, that the hero can be anyone who makes that challenging journey and who returns to bring hope to his or her community. CJ’s reward as a hero in completing his journey is captured for all audiences in a picture book by Matt de la Peña and Christian Robinson, in a picture book that is decorated with book awards. “You can’t swing a teddy bear around here without hitting an artist,” quipped Lane Smith, a children’s picture book artist (It’s a Book, The True Story of the Three Little Pigs) with two Caldecott Medal awards to his credit. Smith was sitting next to my friend Catherine at the Roxbury Minor Memorial Public Library in Litchfield County, Connecticut. He was correct. The illustrator Wendall Minor (Nibble Nibble; The Eagles Are Back; If You Spent a Day with Thoreau at Walden Pond) was sitting only a few seats away. The geographical map of Northwest Connecticut is an “Area of Maximum Artist Density” where artists of all kinds reside. Catherine and I were spending Saturday afternoon in the small library conference room listening to a lecture by Leonard S. Marcus one of the world’s leading authorities on children’s books and their illustration. (See Catherine’s post here). The subject of his talk was illustrator Leonard Weisgard who (no surprise here) had also lived in Roxbury until the late 60’s. 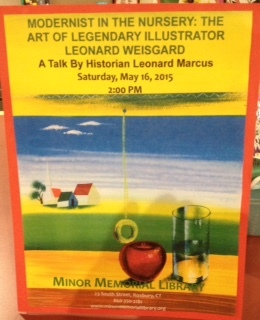 The title of the talk was “Modernist in the Nursery: The Art of Legendary Illustrator Leonard Weisgard” and Marcus came prepared with multiple slides that highlighted the influences and illustrations in Weisgard’s long career as both a picture book artist and author and as a commercial artist (New Yorker). 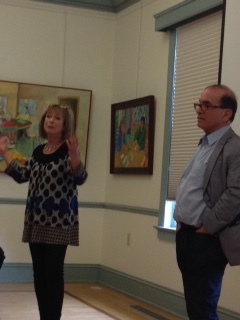 In offering this talk, Marcus was surrounded by members of Weisgard’s family and former Roxbury neighbors. For them, this was a reunion; for us, this was a star-studded affair. Marcus is an author himself including: Show Me a Story! ; Golden Legacy: How Golden Books Won Children’s Hearts, Changed Publishing Forever, and Became an American Icon Along the Way). He was the curator of the New York Public Library 2014 exhibit, “The A,B,C of It: Why Children’s Books Matter” (which I wrote about in a post here). Golden MacDonald,The Little Island , Doubleday, 1946. Margaret Wise Brown, The Important Book, Harper, 1949. Weisgard’s acceptance speech contradicts some of the practices that have come about as a result of educators trying to increase rigor by choosing complex texts that are too often inaccessible for their young readers. Here in his Caldecott acceptance speech some 68 years earlier, was Weisgard defending the ability of young children to read his illustrations that are very complex but also accessible. The only wrinkle in an otherwise perfect afternoon was the slight delay caused by a technology glitch. Marcus’s Powerpoint presentation was stuck in presentation mode, and try as he and the other artists might, they could not change out of the presenter’s view of showing several slides simultaneously. Q: How many artists does it take to set up a powerpoint? A: It doesn’t matter. Only their art does. I recently attended the 2nd Annual Conference for The Teaching Studio at The Learning Community, a public charter school in Central Falls, Rhode Island. Doing double duty as keynote speaker and presenter, author and blogger Vicki Vinton conducted two workshops on text complexity and how students read complex texts. Vicki Vinton’s earlier book on reading; Good news, she is writing another! As an opening exercise, she asked those in attendance in the afternoon session to sum up their attitudes or feelings at that moment using only one word. She explained that while she is in the process of writing a book on the topic of text complexity, she sometimes feels overwhelmed in trying to meet deadlines and keep up with work responsibilities. She said she had chosen a word to sum up her feelings. Some of the participants’ words? My word? I combined the words try and action; my word was traction. This opening activity mimicked how readers approach a complex text. In asking each member of her audience to select a word, Vicki explained that she was using the exercise as an ice breaker. She had established a purpose. Her request to have each person choose only one word to sum up an attitude required that each participant had to tap into his or her background knowledge (schema). As Vicki wrote each single word on the chart paper, the words formed a contextual coherence. Individually, these words were in the abstract, but listed collectively on the page, they provided an emotional portrait of the attendees in the session. 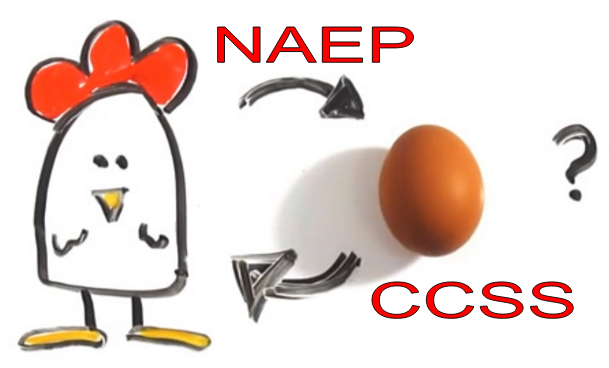 When readers read complex texts, they must perform many of the same steps we performed. 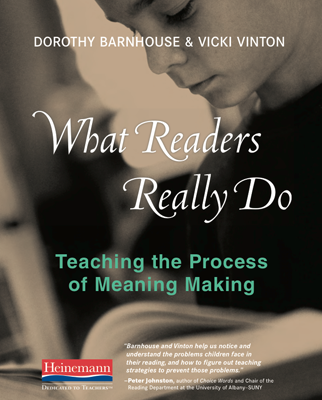 Readers must establish a purpose for reading. 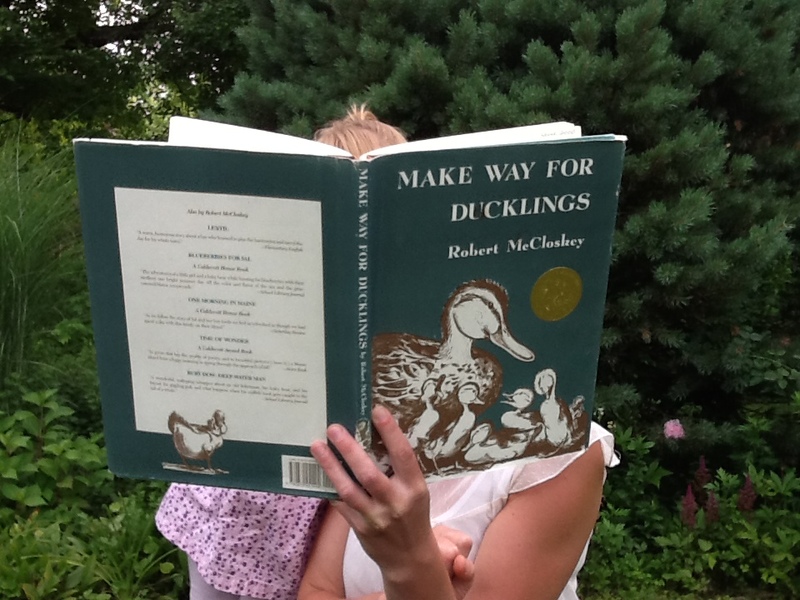 Readers must tap into their own background knowledge, just as we did when Vicki requested that we select a single word. Our choices illustrated how readers must rely heavily on knowledge of word meanings when reading complex texts. Finally, a reader needs to recognize a coherence; how words in a text connect to each other. The attendees in Vicki’s session had a chance to recognize the connection of their words to the education profession. Of the three possible meanings, my reason for choosing traction is most closely associated with the second definition. One of my educational objectives this year is to help students in my district to make gains in reading and writing. While that means I may encounter some “friction” in meeting this goal, I must be careful about the degree of “tension” that I create as I work to be a “pulling force” in improving literacy. The complex thinking that began Vicki’s presentation came from her request to choose only one word proving that text complexity has nothing to do with length; text complexity can be found in brevity. Vicki’s opening exercise was an excellent way to highlight the stages all readers can experience in reading complex texts. Her presentation developed many of these ideas that she promised would be outlined in the book she is currently writing. While the working title Embracing Complexity is, according to her, “subject to change,” the book will offer problem-based approach to the teaching of reading. I look forward to reading her book when it is published. In the meantime, I have a new word: anticipation. March 2nd is Theodor Geisel’s (aka Dr. Seuss’s) birthday. March 2nd is Read Across America Day as well, and Read Across America is an annual nationwide reading celebration sponsored by the National Education Association (NEA). 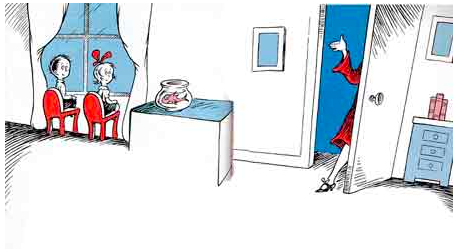 The impact of Dr. Seuss’s texts on young readers is enormous, but the impact does not stop there. Even at the high school level, I have made extensive use of Dr. Seuss’s classic The Cat in the Hat. 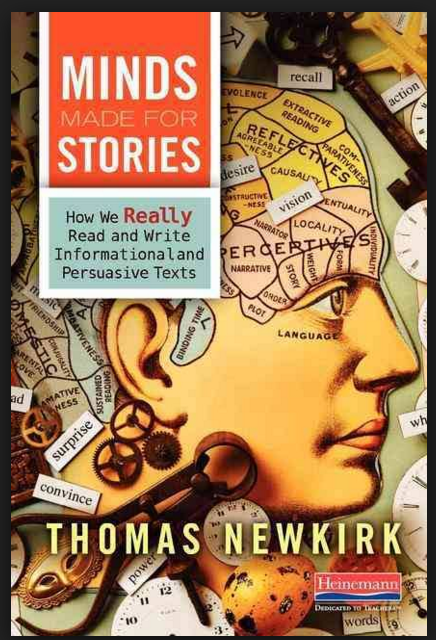 I have posted about using this text to introduce Freudian psychology in I Wish I Had Thought of Id, Ego, and the Superego in Dr. Seuss’s “The Cat in the Hat”. Their question encouraged me to look more closely at the text as a possible means to introduce other literary concepts. But I am not the only one who thought there were other lessons to be gained from this text. 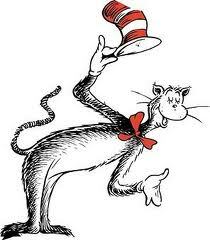 I recently found a series of philosophical topics and questions for The Cat in the Hat on The Teaching Children Philosophy Wiki. This website is dedicated to helping adults conduct philosophical discussion with and among elementary school children.Contrary to what many people think, young children are both interested in and good at discussing philosophical questions. Picture books are a great way to initiate a philosophical discussion with young children and this site will help you get started. 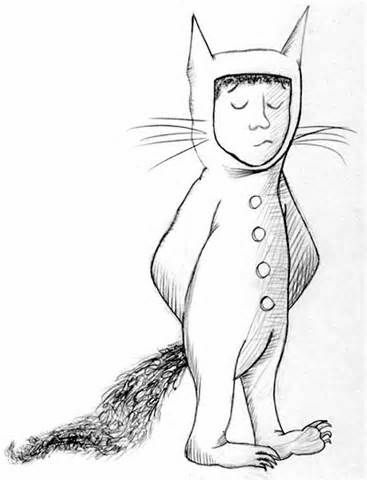 Along with a long list of picture books, there are a number of Dr. Seuss texts represented on this wiki including Green Eggs and Ham for educators to teach a lesson on arguing reason vs. experience by Taiba Akhtar or The Sneetches for lessons on defining differences and noting prejudice by Lena Harwood. Would have you trusted the cat? When can you trust strangers? What if they’re a teacher, or a policeman? How do you know that you can trust your friends? Is it okay that the Cat made a mess? Since the Cat cleaned up his mess, was it more okay that he made it? When is it okay to make a mess? Is it okay if the children were entertained by the Cat, even though what he was doing was dangerous? Is it okay to do things that are wrong to try and impress people? Is it more okay to do something wrong if it’s fun? Why or why not? Was what the Cat did an okay way to act? What are inappropriate things to do in a friend’s home? Would have you told your mother what happened? Why? Is it okay to lie to hide something that you’ve done wrong? If we lie and get away with it, can people still be hurt by what we’ve done? Should we tell the truth, even if no one would believe us? If you tell someone only part of what happened, is this lying? The last question (If you tell someone only part of what happened, is this lying?) was easy to discuss. My students agreed telling someone only part of what happened was lying. They also mentioned something about speaking from experience. Banned Book Week is held annually during the last week of September in order to bring attention to the controversial practice of banning books, but an exhibit at the New York Public Library is proclaiming the same message through March 24, 2014. The exhibit “The ABCs of It: Why Children’s Books Matter” celebrates the development of children’s literature in picture books, in chapter books, and in young adult literature. …an examination of why children’s books are important: what and how they teach children, and what they reveal about the societies that produced them. 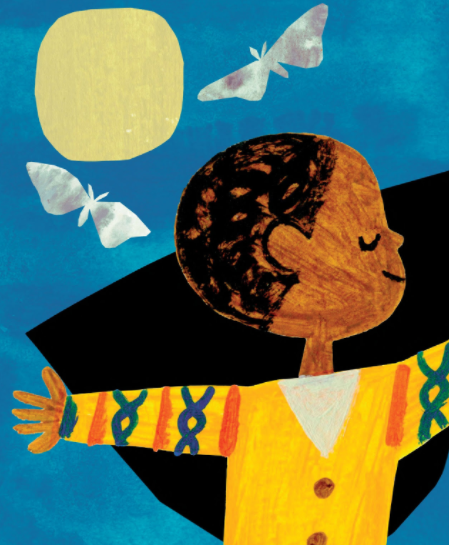 Through a dynamic array of objects and activities, the exhibition celebrates the extraordinary richness, artistry, and diversity of children’s literature across cultures and time. The differences in opinion on the role of children’s literature are raised at the exhibit’s entrance. Should children’s literature be foremost a means to deliver lessons of morality? (as Cotton Mather urged the Bible on young Puritans) Should children’s literature “delight and entertain”? (as John Locke believed with Aesop’s fables) Or should children’s literature tell the bare truth, not tales that “cover truth with a veil”? (Jean-Jacques Rousseau). From fairy tales to the Suzanne Collins’s The Hunger Games Trilogy, the controversy rages on, and the exhibit presents them all. There are tributes to William Blake’s poetry, Lewis Carroll’s Through the Looking Glass, and a original copy of Janette Sebring Lowrey’s The Pokey Little Puppy. One large panel features the rhyming words (Sam I am & green eggs and ham) of Theodore Geisel (Dr. Seuss). Along another long wall are the serial contributions of publisher Edward Stratemeyer: Bobbsey Twins, Hardy Boys, Tom Swift, and Nancy Drew. There is a tribute to comic books complete with silhouettes of Marvel and DC heroes, and tribute to books successfully made into films. A glass case holds the original Pooh, Piglet, Kanga, Roo, and Tigger from A.A Milne’s 100 Acre Woods; Eric Carle’s colorful panels (Brown Bear, Brown Bear and others) glow brightly in the cases. Pictures of the exhibit are on the New York Public Library’s Facebook Page and the NYTimes slide show review. These voices provide a serious reminder that children’s literature is more than board books, rhymes, and fairy tales. There are powerful messages in these stories; some so powerful that they have banned. For example, there is Munro Leaf’s story of the peace loving Ferdinand, the Bull which “caused an international controversy” when it was first published; banned in Spain the book was burned in Nazi Germany. Exposing those horrors of the Holocaust is a copy of Art Spiegelman’s breakthrough graphic novel Maus. 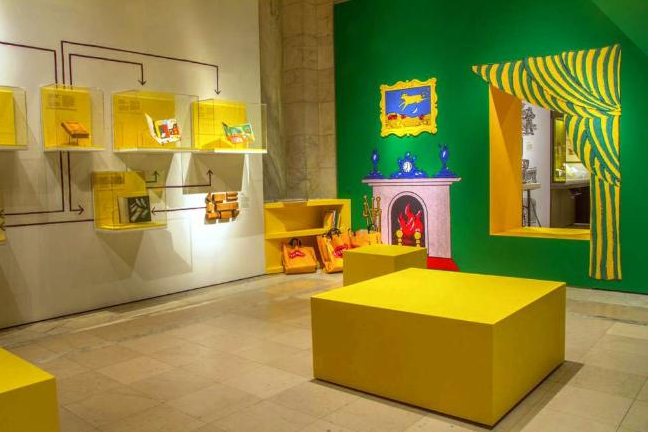 Marcus’s exhibit presents the questions and controversies about children’s literature, but does not provide answers. The exhibit has examples of how this genre of literature can contain both powerful political tools and playful trivial entertainment. There is no answer to the exhibit’s opening questions as to whether children’s literature is a means to educate, a means to enforce a moral code, or a source of joy. On seeing the stories of childhood so beautifully arranged, I opt for joy. At the end, a large screen posts a continuing stream of Jeopardy-styled quiz questions in an interactive, and serious time-killing, activity. “So do I,” he responded before leaving. 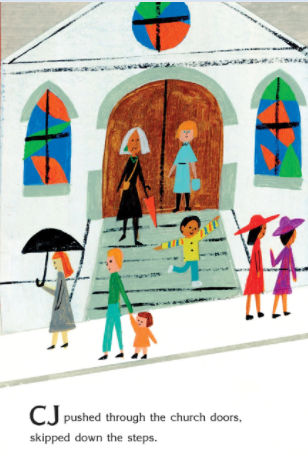 In Books, Picture Books, Reader, Reading, Stories, Young Adult YA literature	Banned Book Week, Children's Literature, Leonard S. Marcus, New York Public Library, NYPL Exhibit, picture books, The ABCs of It: Why Children's Books Matter"